The Samsung Galaxy S10 looks set to lead the way when it comes to mobile gaming power, potentially leaving the new 2018 iPhone X in its wake to become the VR smartphone we've always wanted. Samsung has been working on a new GPU that will be behind all this power. But it's not just any graphic processing unit. The source that broke the news was so blown away he said: "This is really a big deal — it’s the first new GPU design in 10 years." The new architecture in this design is so impressive that it's actually being hailed as a GPU that could be used across platforms from phones to – get this – super computers and plane cockpits. Yup, this is a game changer. Apple is already well known for its prowess in the GPU arena – coming from a graphics processing heritage. 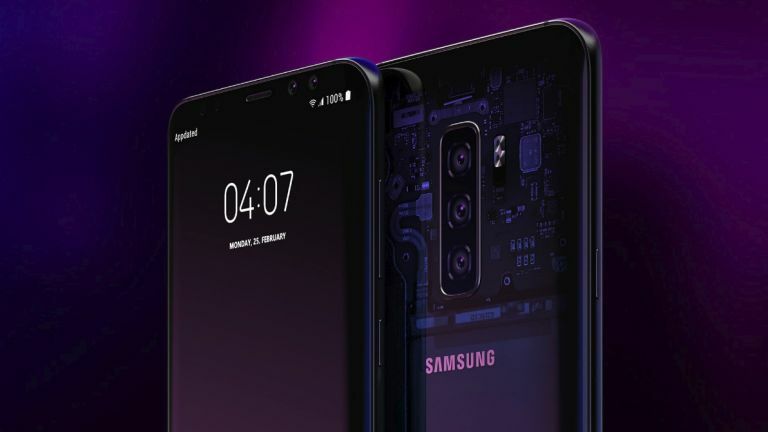 While it too is rumoured to be working on a new GPU for a new iPhone, it may not arrive in time to take on this new Galaxy S10. All this power could be ideal when coupled with the rumoured new 4K and bezel-free Infinity Display of the S10. Chuck that into a capable VR headset and you've got yourself a really competitive VR gaming machine. Of course this could also work wirelessly with a stand-alone headset, as the phone does the processing – the options are great. Samsung is rumoured to launch the Galaxy S10 very early in 2019.